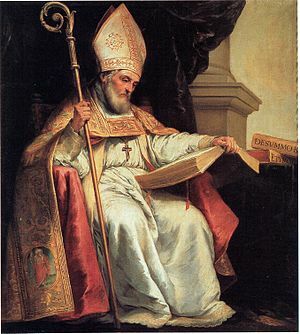 St. Isidore o Seville, a 7t-century Doctor o the Kirk, depictit bi Murillo (c. 1628) wi a beuk, common iconographical attribute for a doctor. Doctor o the Kirk (Laitin doctor "teacher") is a teetle gien bi a variety o Christian Kirks tae individuals whom thay recognise as havin been o pairteecular importance, pairteecularly regairdin thair contreibution tae theology or doctrine. This page wis last eeditit on 6 Mey 2016, at 14:07.